ARE YOU ELIGIBLE FOR FEET FUNDING? Visit Surrey County Council's Website to check and apply. If you would like any support in completing an application or want to know more, please Contact Us. Below are some links to see how FEET funding has made a difference to the children. Mum talks about how her shy two year old is really coming out of her shell since she got her Free Early Education for Two year olds (FEET) place at childminder's in Surrey. And how the free 15 hours of childcare are helping her find time to go to college. 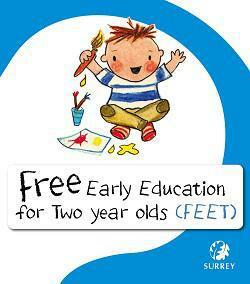 Mum talks about how her two year old is gaining social skills and confidence to try new things since she got her Free Early Education for Two year olds (FEET) place at children's centre in Surrey. And how the free 15 hours of childcare are helping her continue her studies and get qualifications to help her career. 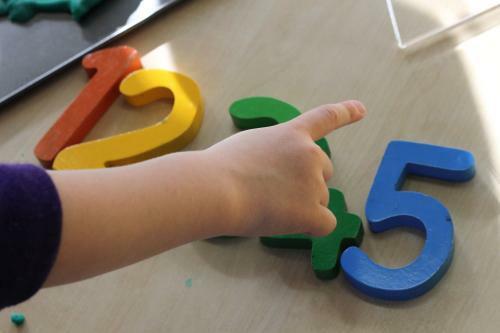 Mum talks about how her two year old's confidence is zooming since she got her Free Early Education for Two year olds (FEET) place at a nursery in Surrey. And how the free 15 hours of childcare benefits all the family. All children are entitled to 15 hours free Nursery Education which is available at local schools and settings including Ash Grange. Find out more on the Surrey County Council website. No matter how young your child is, it's never too early to think about what will happen when they start primary or infant school. Home Start also provide a range of activity sheets on their 'Big Hopes Big Future' website. Activity sheets include starting morning routines, keeping clean, getting ready to learn and mealtime routines. 'Big Hopes Big Future' website.